City’s opening bid is a little more than half of Arsenal’s valuation. The Alexis Sanchez Arsenal exit seems so close and yet so far away. Man City £20m bid for the want away striker is just a little more than half of what Arsenal is asking for. Arsenal is reported to want a figure in the region of £35m. in another twist, Alexis Sanchez is expected to feature for Arsenal tonight against Chelsea, a move to signal to City that until the demands are met, Alexis remain at Arsenal. Monaco lower Thomas Lemar asking Price. 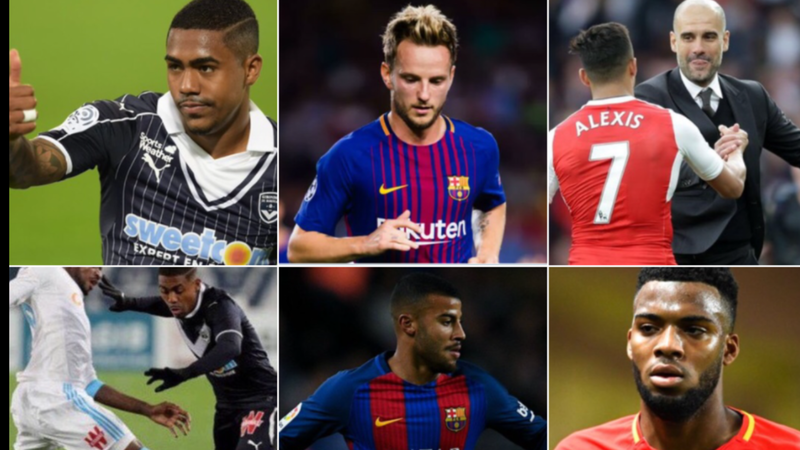 The impending departure of Alexis Sanchez this January has pushed Arsenal to the transfer market for replacement. Monaco’s manager insistent on holding on to Lemar to the end of the season appears to have changed, reports that the £90m asking price on him have also been lowered, it is now believed that £65m bid will be enough to price him away from Monaco. Arsenal still see him as the favourite to replace Sanchez but Liverpool are in the market to replace Philip Coutinho themselves and also have the funds to close a deal after receiving £140m on the Brazilian. Arsenal Entered the race to sign Bordeaux’s Winger Malcolm. Another link to Arsenal today is the Brazilian Winger Malcolm currently at Bordeaux. Borussia Dortmund apparently had a £35m turned down in the summer and host of other top clubs are railing him, including Manchester United and Tottenham. it is unclear if the Lemar talks are linked to Malcolm signing, I.e. is Arsenal hoping to sign one of them or both? Barcelona attacking midfielder is dissolutioned after the club signed Coutinho and wishes to leave the club. Liverpool is interested but the player is reported to prefer Arsenal! Rafael Alcantara Nascimento or Rafinha in short is surplus at Barcelona and may be offloaded this January. he has been linked with Arsenal in the past and he is also reported to wants an Arsenal move.